You can send Gift Cards directly to someone by entering a different ship-to address upon completing the purchase. If you choose to do so, please enter your personalized message in the text field after selecting the Gift Card Value. Please contact us with any questions before or after ordering. Online payments are processed by PayPal. A PayPal account is not required. Orders are fulfilled by the Wayne Hotel and ship within 2 business days via USPS Priority Mail with Delivery Confirmation. 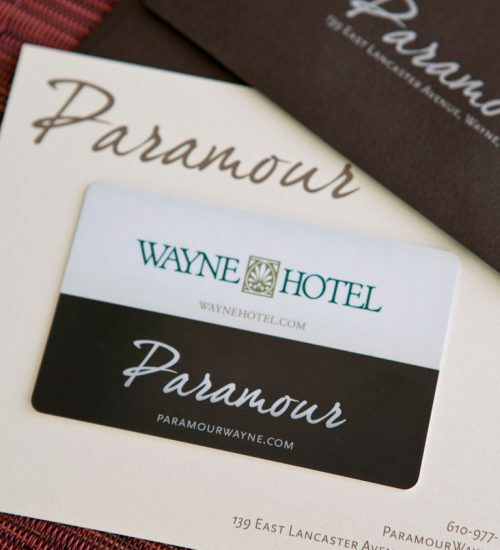 Gift Cards are redeemable at Paramour and the Wayne Hotel.